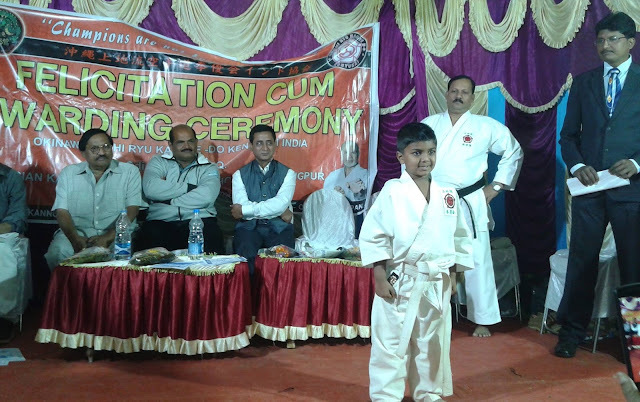 Nabarangpur-Online: Felicitation ceremony of Asian Karate and Kick Boxing School held. 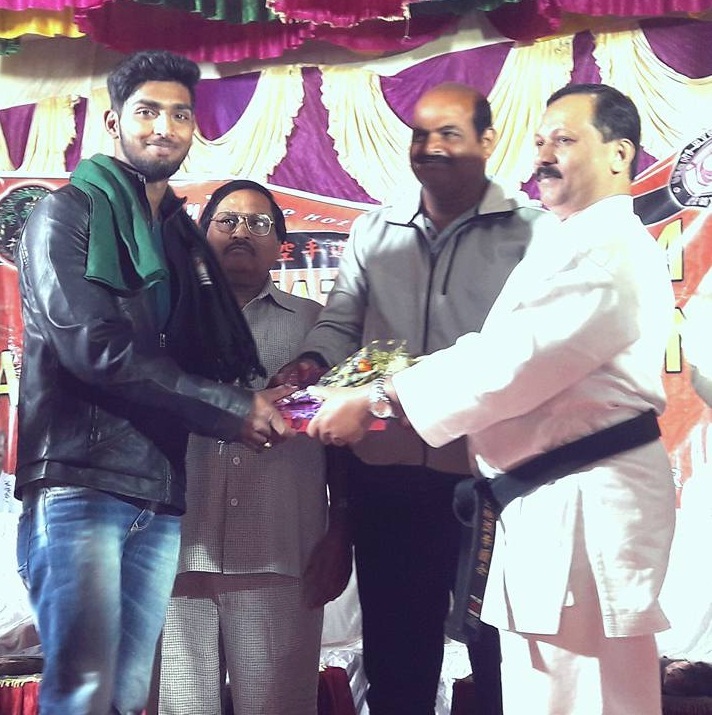 Felicitation ceremony of Asian Karate and Kick Boxing School held. The Asian Karate and kick boxing school, Nabarangpur organised felicitation ceremony at Binayak Nagar of Nabarangpur here on Friday. The school conducted three-day long Belt grading test seminar and Kobudo Training Camp with Chief Instructor of International Karate and Kobudo Uechi Ryu Karate-Do Kenyukai India, Shihan K V Manoharan, joined in the training camp. On the conclusion of the events successful students and participants were awarded. In the prize distribution ceremony BSF Commandant V.K Kasana, was the chief guest while Vice-Chairperson of Municipality Prahalad Tripathy, Social activist Jagannath Mohapatra, Chief Instructor of Asian Karate and kick boxing school Sensei Sarat Kumar Rout, Secretary of School Tushar Kannti Khosla, Manoj Kumar Patnaik, were present. Students of the school G Ritesh Aditya, Debadata Patnaik and Biswajit Patnaik, who were participated in All India Karate and Kubudo Championship held at Kannuar in Karala felicitated with Black belt. While a six year kid Sandip Rout, felicitated with Blue belt. The successful participants of Inter-district body building competitions with ten students of women's college Nabarangpur who bagged University Champions trophy in sports,Kabadi and Kho Kho competitions were felicitated. The Techno Gurukul School of Nabarangpur town which newly introduced Karate courses was also awarded.